What Should You Wear When You PaddleBoard? Stand up paddle boarding is a great way to exercise or even just enjoy being on the water totally free to move however you desire. Before you hop on a board, you may want to consider what type of clothing you’ll wear. A life vest is always advisable when on the water, but sun protection can be equally important. Here are the top 4 things you should wear whenever you go stand up paddle boarding. Whether you’re on a boat, paddle board, or enjoying another water activity that can take you into deep water, you’ll want to wear a life vest. 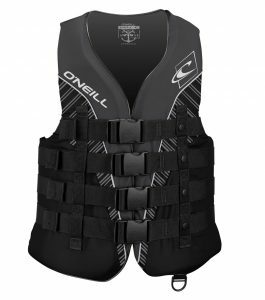 I really personally like the O’Neill wake and waterski life vest (as pictured). It has style and comfort which I love. People often neglect to wear a life vest because they feel it is uncomfortable or unnecessary. In reality, even fit swimmers can often only tread water for about 10-20 minutes before becoming exhausted. Average people may become exhausted in as little as 3 minutes and potentially drown. Throwing on a vest could be the difference from sinking in a few minutes, to being able to float for hours without using any energy. Life vests don’t have to be a burden. In fact, besides your typical boxy orange vest, you’ll see on cruise liners, there are many life vests designed for more sporty activities. These vests are contoured to fit your body better and not hinder your movements. Even though you have a board that will help you stay afloat, should you be knocked off and separated from your board, or forget to use a board leash, you’re on your own in the water. Many beginners will tend to fall off of their boards just while trying to find their balance. Having a life vest on will make it easier for them to return to their boards and not become overly tired from having to swim. Hat, sunglasses, sunscreen and long sleeved clothing are all valuable items to wear when paddle boarding. Since you’re likely to be on the water for extended periods of time, even up to a whole day, it’s wise to dress in layers so you can customize your clothing to the weather. 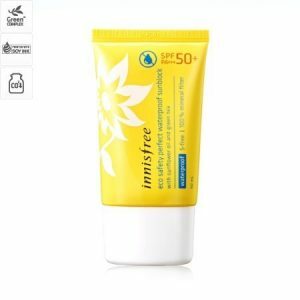 A solid layer of waterproof sunscreen like the Innisfree Eco Safety Sunblock SPF 50+ (as pictured) on sunny days will keep your skin from burning and won’t wash off if you happen to get wet. If the wind starts blowing or it’s a bit cooler out, a thin rash guard will keep you warm and cover your skin. Hats are a great addition to keep the sun out of your eyes and off of your face. If you’re going to be paddling for hours on end, you’ll be glad you covered your head. A pair of sunglasses is also great on sunny days as the water will reflect light back up into your face. If you’re wearing sunglasses, be sure you have good balance, or wear a retaining strap as your glasses could fall off if you fall into the water. Dressing appropriately for the weather in your area will not only keep you comfortable all day, but also keep you healthier in the long run so you can continue to enjoy paddle boarding for years to come. When it comes to swim wear, a lot of times fashion is a main concern. This is true that you want to look you best, but there are really two main schools of thought when it comes to swim suits. Your choice of swim wear depends largely on your purpose of riding. Minimalists prefer the free feeling of wearing nothing but a bikini or board shorts while paddling. More performance or sport oriented racers may want rash guards or even neoprene suits. A lot of women prefer the Sidefeel Women Tribal Printed Tankini as pictured which works really well for paddleboarding. 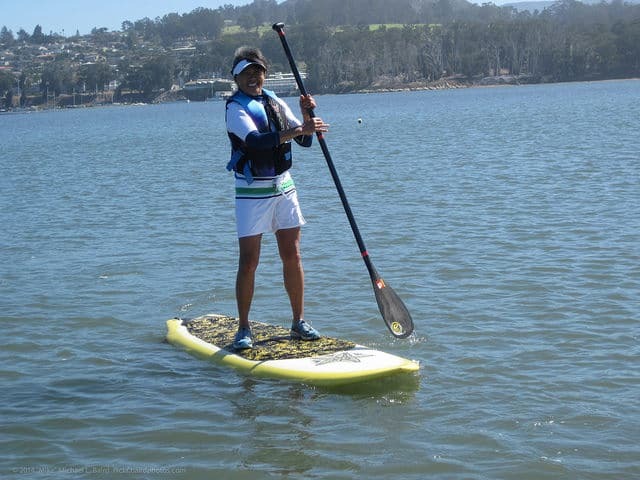 Casual riders can even get away with wearing normal clothing on a paddle board. As long as your balance is solid and you don’t fall off of your board, you can really wear whatever you like. Cargo shorts and a t-shirt work just fine, so you can hop on your board whenever you feel like it. Last on our clothing list is footwear. Often times people prefer not to wear any shoes when paddle boarding. Most paddle board will have either wax or pads that help with traction. 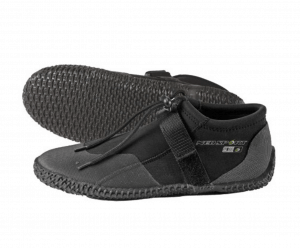 If it’s colder out, or you decide you want foot protection for hiking to different beaches, you should consider a water shoe. It’s likely your feet will get wet, so regular sneakers will quickly become flooded and uncomfortable. Water shoes like the NeoSport Wetsuit shoes pictured or even surfing booties provide a great amount of traction to your board, keep your feet warm, and will allow you to walk over rocks or coral if you’re cruising to new locations. No matter how you decide to spend your time on a paddle board, surfing, cruising, or racing, you’ll want to dress appropriately so you’ll be comfortable on the water. Hope you enjoyed this blog, please leave any thoughts or comments below. 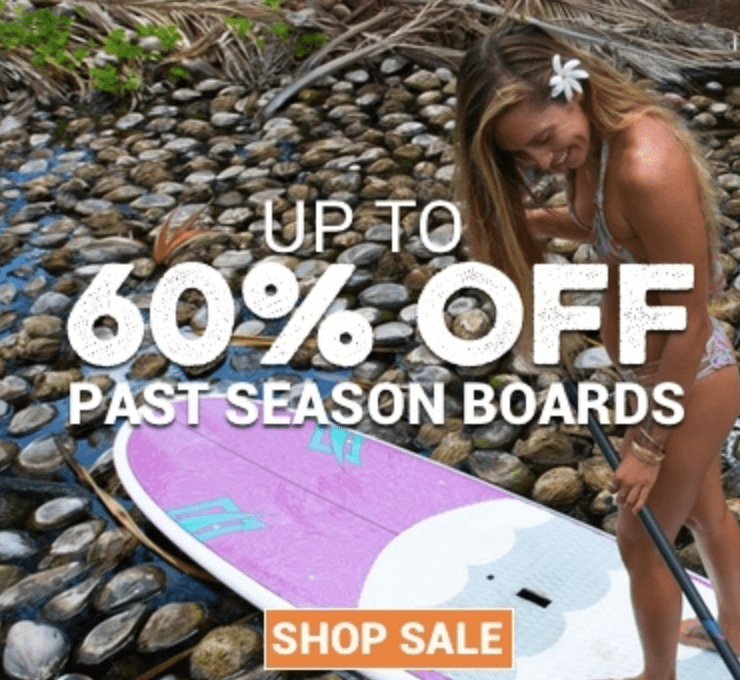 Previous Post: « Where Should You Go To Buy A Stand Up Paddle Board?